A worktop edging strip is designed to be used on unfinished sides of laminate work surfaces to provide a neat finish and protection against damage and water ingress. 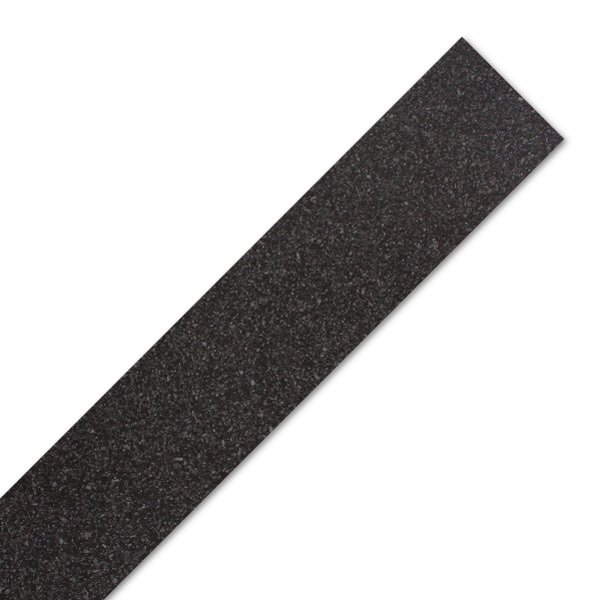 Our black quartz worktop edging strip is perfect if you would like to cut your worktops to size on site. Easy to apply, this black astral quartz laminate worktop edge can be glued to your exposed edges with PVA or a suitable waterproof alternative. Once dried, the quartz effect trim can be gently cut down and sanded to provide a neat finish that's flush with the edge of the countertop. This laminate black stone countertop edging trim measures 1530mm x 45mm and can be easily cut to size to cover a variety of unfinished edges.